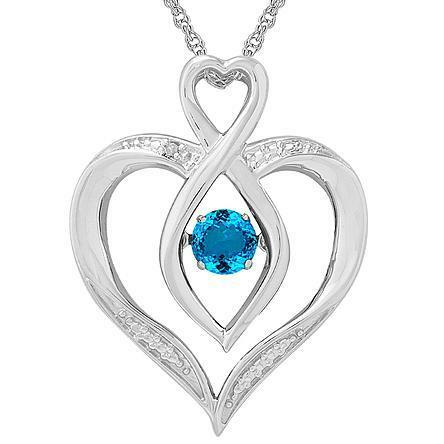 Aqua Dancing Heart Pendant with Diamond Accent Just $59.99! Down From $174.99! You are here: Home / Great Deals / Aqua Dancing Heart Pendant with Diamond Accent Just $59.99! Down From $174.99! Sears has this Aqua Dancing Heart Pendant with Diamond Accent on sale for $59.99 (Reg. $174.99)! This is a beautiful sterling silver aqua dancing heart pendant with diamond accent.